Please see the description of the Police Assessment Center Manual below. Because not all Assessment Center Tests are the same, we let you hand pick five (5) exercise types to study, perform and review at your convenience. Please click here to see your exercise type options. 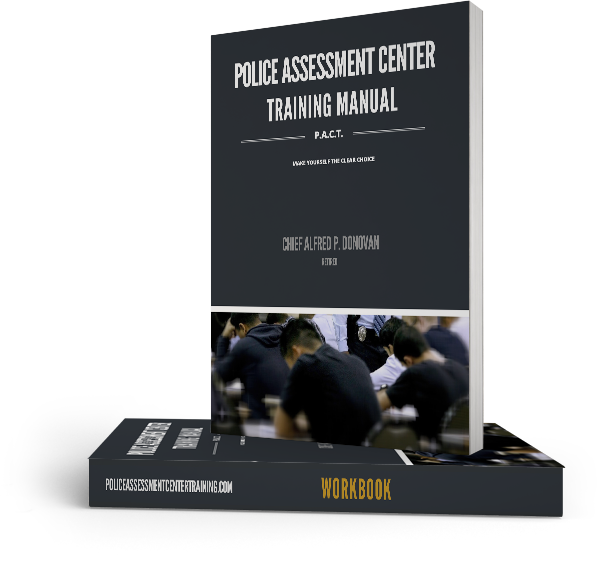 Upon receipt of your selections, we will then customize your Workbook specifically for you and ship it immediately along with our Police Assessment Center Training Manual. In addition, please choose the Companion Workbook option relevant to the position or rank for which you are testing. Our PACT Manual was written entirely by Chief Alfred P. Donovan (ret). Chief Donovan has written Assessment Center Test exercises for dozens of Assessment Center promotional tests conducted by numerous police departments in Massachusetts. Chief Donovan has also acted as Assessment Center Test administrator and evaluator on numerous occasions. Chief Donovan knows what types of exercises you are likely to face and he knows the responses your department is looking for and he shares them with you in this manual. Our Companion Workbook contains constantly updated exercises for you to use to test yourself under actual exam like conditions. Preferred responses are provided to help you self-evaluate your skill level. Exercise examples vary according to the rank or position for which you are testing and your specific exercise choices. 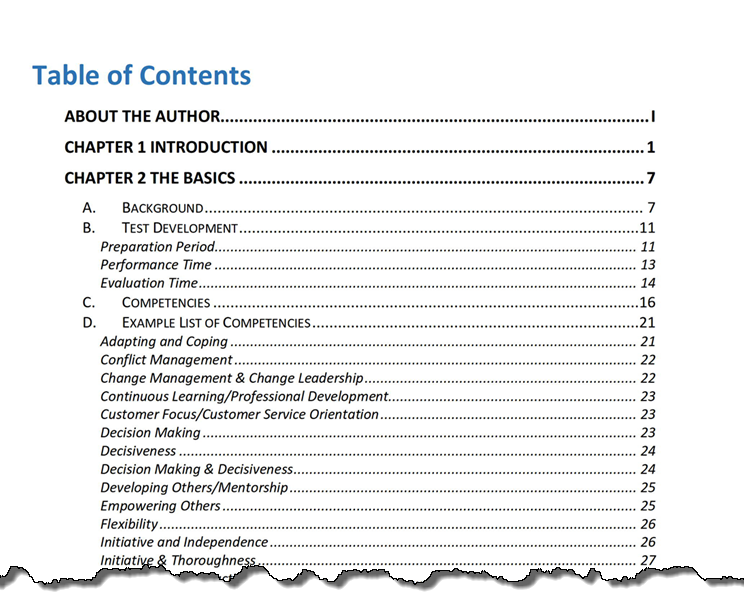 Be sure to select the version of the Workbook appropriate for your test.